I do not know about you but I love having fun with my dogs! There are a lot of different ways of having fun and it means something different to everyone. It depends on you, your age, fitness level, personal preferences, imagination and personality. It also depends on your dog, their age and fitness level, breed disposition, temperament and their personal play style. 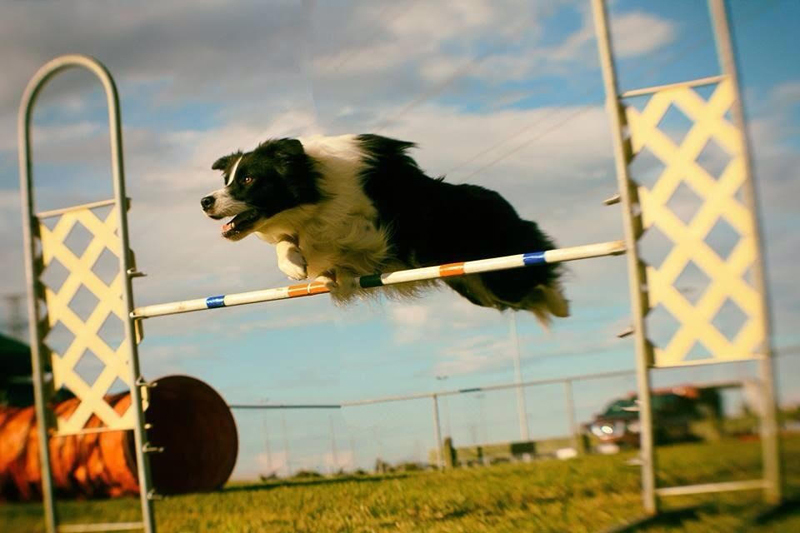 Many of us know about the popular dog sports such as Agility, Flyball, Rally O, Dock Diving (or DockDogs), Herding, Dog Sledding or Canine Frisbee. However, some dogs are not suitable for high arousal sports or are simply not comfortable in the presence of other dogs or strangers. And some owners have no interest in joining a club or to actively compete. This does not mean that you cannot have fun. 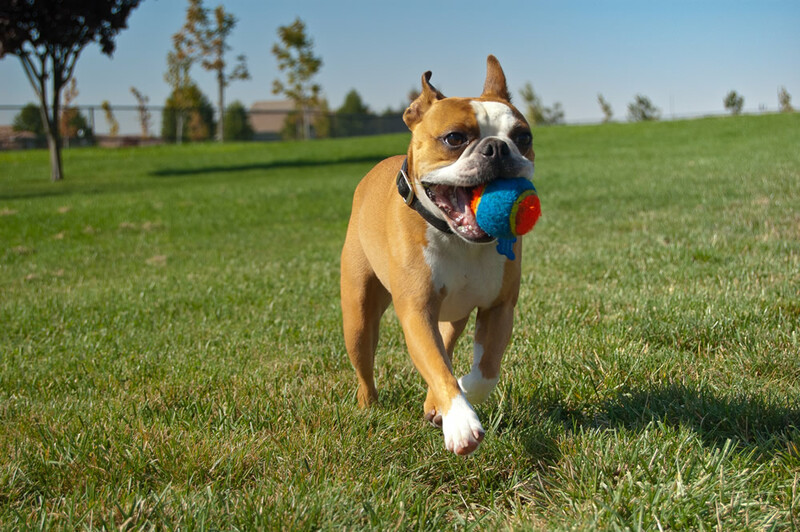 There are sports that cater for dogs who do not enjoy the company of others or high arousal activities. One is Nose Work where dogs initially learn to search for their toys or rewards and later on for a specific scent. The latest variation on this activity is called The K9 Scent Scramble. 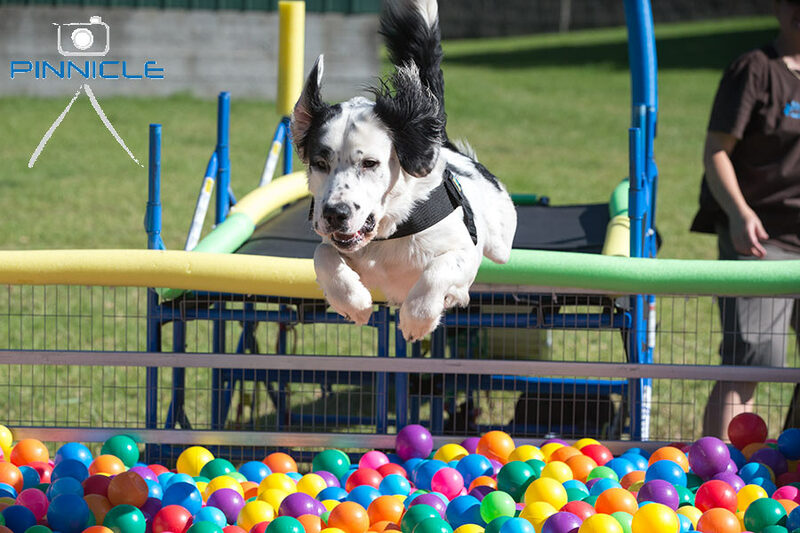 In this sport dogs are diving through or into a ball pit to retrieve a specific item. This looks like a lot of fun! Older dogs might consider a canine massage or acupressure much more relaxing and beneficial than any other activity. There are specialised professionals who offer these services. 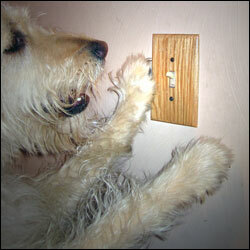 Cue your dog to sit and wait (if necessary ask a family member to restrain him), hide his toy and let him look for it. If you have never played this game start easy by letting him see where you put it and then make it more difficult. If your dog does not retrieve just get him to indicate where the toy is. Get one person to hold on to the dog, the other person (with some treats handy) hides. Then the dog goes and looks for the person and gets a big reward when he finds her. This a precursor to more advanced tricks such as shake and high five. 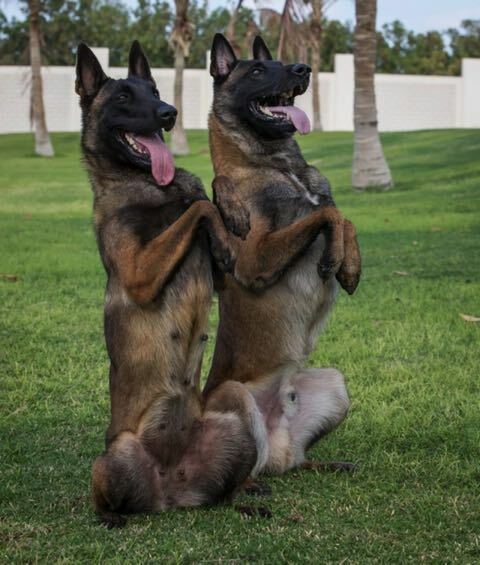 Put treats in both hands and ask your dog to sit. 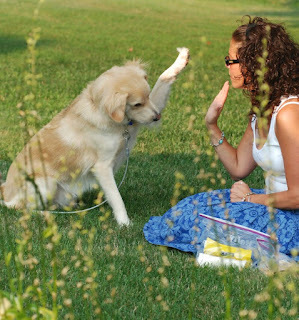 Put your hands (fist closed facing up) in front of the dog so he can reach your hand with his paw. Most dogs will sniff first and if that does not work, they will put up the paw to scratch. Before they scratch open up your fist and let him have the treat. Repeat until you get a reliable paw on your hand. Once you get that, remove the treat from your hand (but pretend it is there), as soon as the dog lifts his paw open up your hand, say ‘shake’ and reward from the other hand. That should result in a shake very quickly. Once this is reliable, ask for a shake and as soon as the dog lifts his leg, change the position of your hand to a high five. Ask your dog to sit and reward a stable sit a few times. Then use a lure to guide her head back so she lifts her front legs off the ground but her bottom is still touching the floor. Some dogs will even bring their front legs up to touch your arm. The main problem is that their bottom comes off the floor: this means you are holding your treat too high or too far away from their mouth. It is crucial that the treat that guides the head is very close to the dog's mouth. Once your dog is in position, reward immediately! If you get the sitting up reliably, then put a cue to it like 'sit pretty' or 'beg'. No betting is involved! 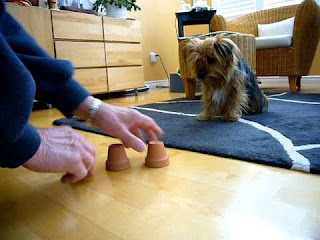 Get three cups, put a treat under one, move the cups around and ask your dog to point to the one where the food is. Again, make it easy in the beginning and then gradually more difficult. 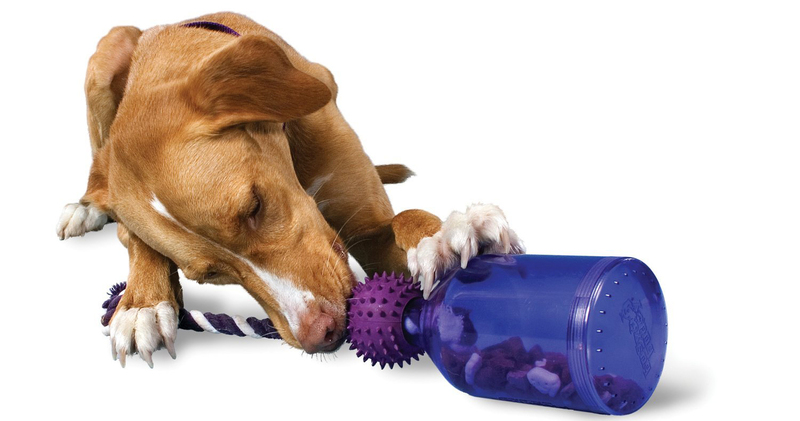 You can also use a variety of food dispensing toys or cheaper alternatives such as a used toilet roll or the versatile muffin tin! These tricks are taught by targeting. This means you teach your dog to touch your hand with his/her muzzle first. Present your open hand about 10 cm away from your dog’s muzzle. It is better to start with the hand to the side and not right in front of her face. Most dogs will touch, but if he/she doesn't, then remove your hand and try again. Once the dog touches your hand, say yes (or click) and reward. If he/she does not touch, smear a little bit of your treat on your hand. Once you get a reliable touch, stick a post-it note on your hand and ask your dog to touch the post-it note. Once that is reliable, slide the post-it note down, this way your dog is going to only touch the post-it note and not your hand. If she does this reliably transfer the post-it not to your target (door or switch). You can teach your dog to target your foot in the same way. If you get really bored, why not make a video of your efforts and show off your dog’s skills? Be sure to share it via your social media feeds to annoy all your non dog-owning friends! Confidence building: Dogs who learn new things on an ongoing basis might find new situations in daily life less challenging. They learn that using their brain and finding a solution or trying something new is not scary but rewarding. Improves training skills of the owner: Lets be honest, when training ‘proper’ obedience most of us are a bit serious. When we train a trick we are much more relaxed, our timing is hopefully better and our reinforcement rate higher. Dogs love this and they really do not care if it is obedience or tricks. 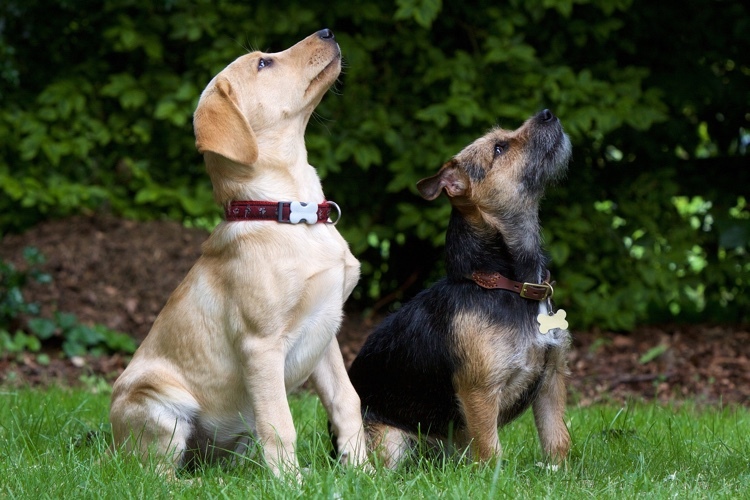 They also might engage more with their owners and enjoy ‘real’ obedience training more. Improves the relationship: Dogs and owners who have fun together stay together. Fun is an important part of every relationship and makes the more stressful times easier to navigate. Gives the dog a job: I meet a lot of young dogs whom I call ‘unemployed’ and they then become ‘self-employed’; meaning they create their own jobs such as digging up the yard, chewing the pool lights or bark at anything that moves! A 10 minute trick training session is as good as a half hour walk and it makes them very tired. Ice breaker for people who don’t like dogs: If a dog performs a cute trick, it can be just a high five, this might put a person who is nervous around dogs a bit more at ease. Focus: Trick training, because it is so much fun, increases the dog’s focus which can have a positive effect on the more serious things you want to teach your dog like ‘heel’ or ‘stay’. Defuses scary situations: If your dog knows tricks and they encounter a scary situation, you might be able to ask for a ‘high five’ which takes the focus away from the scary thing and back on you. Physical benefits: Trick training can improve your dog's stamina, increased flexibility, balance, or core strength to name a few. This might also be true for their owner. 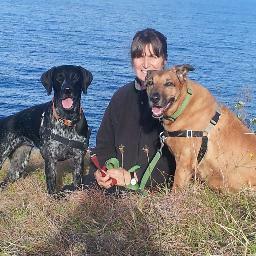 She has been running Goodog Positive Dog Training on the Northern Beaches Sydney for the last 9 years, running classes on all levels as well as workshops and agility fun classes.